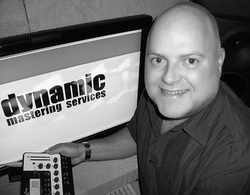 David Mackie Scouller is a professional mastering engineer with a passion for music and high quality audio. He offers audio mastering services to record labels, bands, musicians and recording studios looking for an affordable no compromise service. David has 30+ years experience in the music industry and has an extensive knowledge of different music styles and genres. David built his studio to create an acoustically accurate space to work in. This near perfect environment enables him to listen to music in extreme detail and in super clarity which is the ideal environment to master recordings to a professional standard. 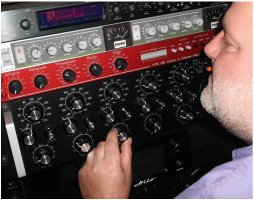 David has the experience, the ears, the World class mastering equipment and the ability to create great sounding masters. He will work with you to get the results you require and make your music sound the best it can before release. Satisfaction is guaranteed. David has now mastered 2 UK Number 1's a World Music Number 1 and had an E.P. at Number 1 for a month on the overall Traxsource Singles Chart and the 6th best selling single of 2013. David has his masters regularly played on the Ministry Of Sound Radio Show, Kiss FM and BBC Radio including prime time slots on BBC Radio 1's Pete Tong Show, BBC Radio 1's B.Traits Show, BBC Radio 1Xtra plus BBC Introducing Radio Shows across the U.K.
David has now worked with some of the most respected record labels in dance music. David Mackie Scouller has been Lost My Dog Records' "go to" Mastering Engineer for many years. As part of the Lost My Dog Records 10 Year Celebrations David was asked to pick out five of his favourite Lost My Dog Records tracks. 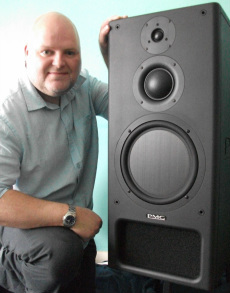 The PMC IB1S's first arrived at DynamicHQ on 14th August 2012 along with Bryston amplification. The PMC IB1S's were eventually installed in the studio on 21st August 2013. 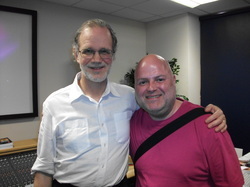 David attended an Advanced Mastering Workshop hosted by Bob Katz at SAE in London on the 21st May 2010. The ‘loudness wars’ in music using audio examples from the '70's until present day to demonstrate the loss of dynamics in popular music today (you only need to go through your record collection to hear the difference in era's!). Audio mastering software demonstrating powerful editing tools. Audio mastering hardware, including discussing what Bob uses and why. Advanced tips and tricks on the use of hardware and software which were demonstrated. During the workshop we also had chance to critically listen to some great masters, a truly educational experience! Experience the clarity that professional online mastering will bring out in your music. Simply upload your finished mix. I'll master your song and send back a 1-2 minute preview.